Carbon is located in group 14. 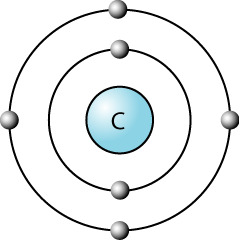 A carbon atom contains 6 electrons, therefore the electronic configuration is 2.4. It has 4 valance electrons in the outermost orbital, as shown in the diagram. 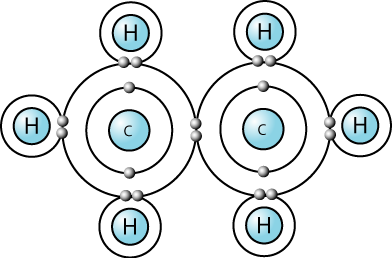 In order to achieve a stable outer octet of electrons, it forms four covalent bonds. 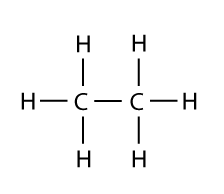 If two carbon atoms join, each can still combine with three hydrogen atoms to form a molecule of ethane, C2H6. Hydrocarbons are organic compounds that contain only carbon and hydrogen. 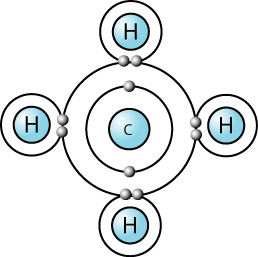 Hydrocarbon is a compound made out of the elements carbon and hydrogen only. 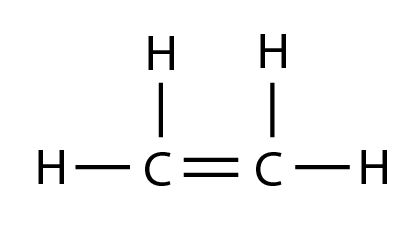 Examples of hydrocarbon are alkane, alkene and alkyne. Ethanol ( C2H5OH ), ethanoic acid (CH3COOH), metal methanoate (HCOOCH3), chloromethane (CH3Cl) and others are not hydrocarbons because the molecule contains other elements such as chlorine or oxygen other than carbon and hydrogen. Download the printable version of this note. 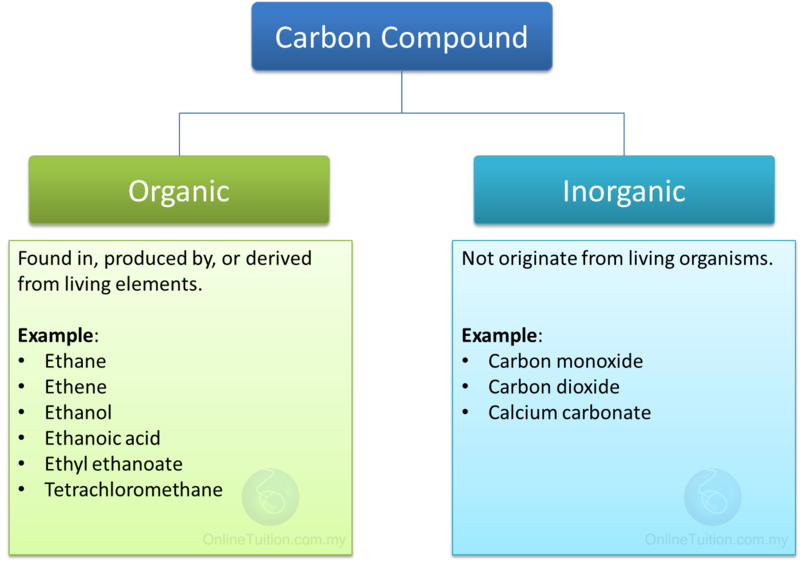 Incomplete combustion– organic compounds burn with limited supply of O2 which form C (soot), CO, CO2 and H2O. The soot from the combustion of a hydrocarbon depends on the percentage of carbon it contains. Higher carbon percentage in the hydrocarbon molecule will result sootier flame. A series of compounds with similar chemical properties, in which members differ from one another by the possession of an additional CH2 group, is called a homologous series. Members of the same homologous series can be prepared through one common method. For examples, All alkenes can be prepared by dehydration of relevant alcohols. Members of the homologous series have the same chemical properties. 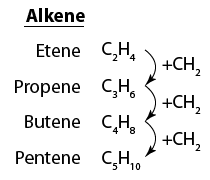 For example:All alkenes show addition reaction as added into bromine. Functional group is a group of atoms tied together which will take part in a chemical reaction therefore determine the chemical properties of the series. Members of the same homologous series have the same chemical properties because of the presence of a common functional group in all the molecules of the series. Therefore, the homologous series is a family of organic compound that is made out of members with common functional group, common chemical properties, and consecutive members are differ by one carbon atom and two hydrogen atom, namely, –CH2-. 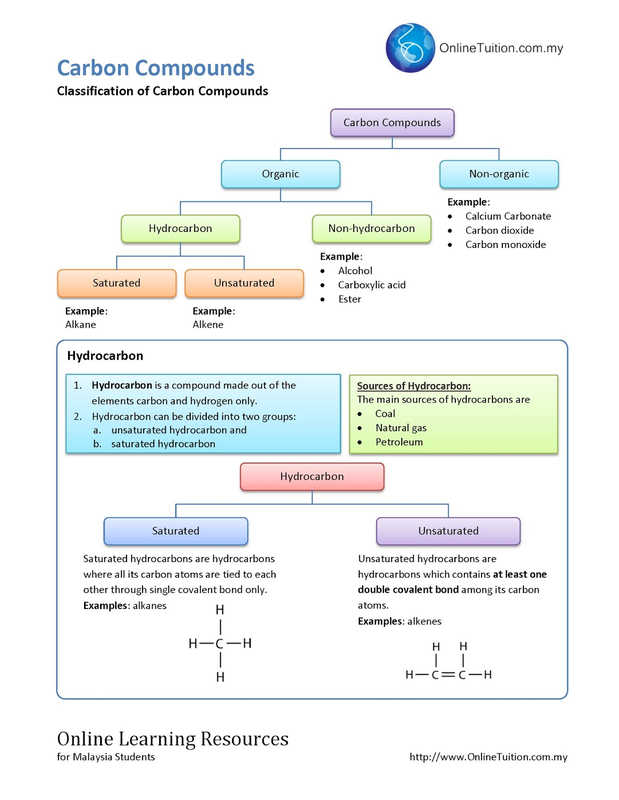 Table below shows some homologous series and their respective general formula and functional group.